IDF soldiers began voting on Sunday, ahead of the national elections on Tuesday. 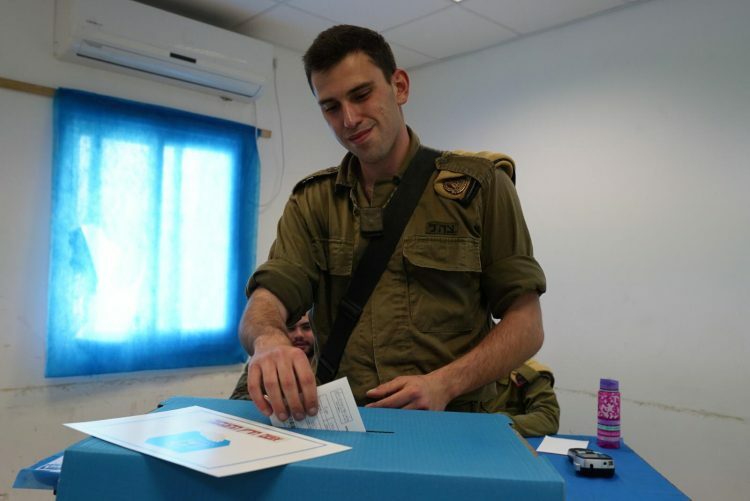 The first to vote were members of the IDF’s elite Yahalom Combat Engineers unit. IDF soldiers will vote at 640 ballots deployed across the country, over the course of 72 hours, ensuring that those who will be engaged in activity on Tuesday will be able to vote before going out on the mission. Judge Hanan Melcer, head of the Knesset’s Elections Committee, visited in Ofer Base on Sunday to supervise the elections process.